Point Ellice Park is in the seaside community of Victoria, one of thirteen communities that form the Capital Regional District of British Columbia. A small point of land that projects into the Upper Harbour of Victoria, BC, is called Point Ellice. It is located in two hectare area called Point Ellice Park in the Victoria West community. The Point Ellice Bridge, also called the Bay Street Bridge, is on the northern end of the park. A long concrete staircase leads up to Bay Street. The Galloping Goose Trail, Trans Canada Trail and Harbour Road Bike Trail, which are all the same trail, overlap with the some of the pathways within Point Ellice Park, which does have a dedicated footpath too. 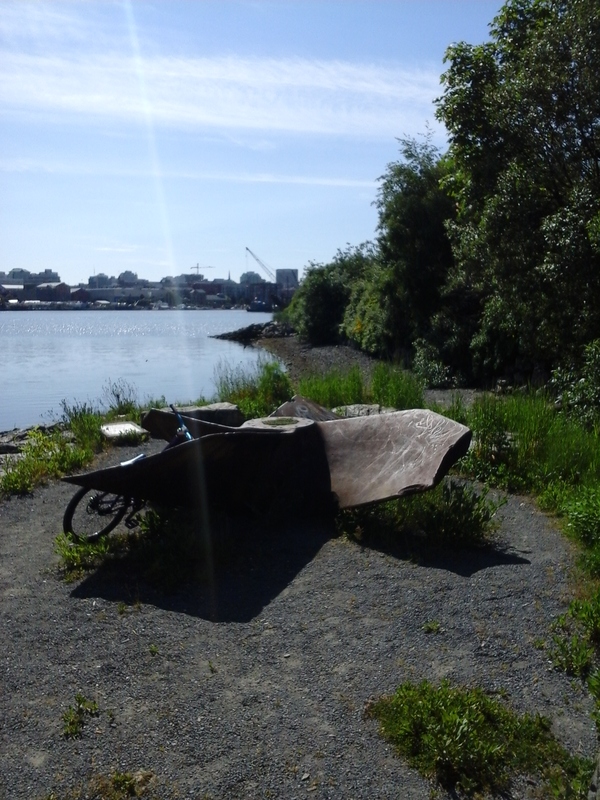 The gravel pedestrian pathway leads to an old propeller that was revealed during the development of the park area. This huge propeller has sizable chips in it. The foreshore of Point Ellice Park is rock and cobble at low tides. As part of the Dockside Green development, Oregon grape, rose and other native plants were reintroduced along the pathways and many are thriving. The pedestrian wharf and pier that overlooks the Upper Harbour is particularly popular for watching rowers and paddlers from the Selkirk Rowing Center is along the pathway. It is a good spot to launch a paddle board, kayak and canoe as well. 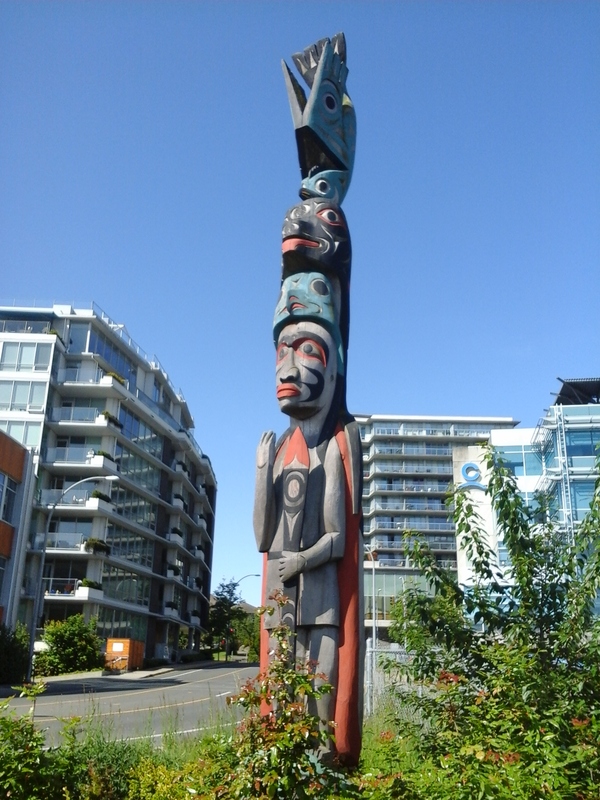 The trail to Point Ellice Park from 387 Harbour Road is marked by the water keepers totem pole that was carved by Charles Elliot. Point Ellice House is kitty corner to this park and is a wonderful historical house and garden. Harbour Road Green Space, Tyee Road Green Space, Vic West Park and Triangle Park are about a block south along Tyee Road. This waterfront park is a terrific place to walk, cycle, run, jog and just get outdoors for a nature break. Point Ellice Park can be reached from the Trans Canada Highway. Continue along the highway as it become Douglas Street. Turn west onto Bay Street and continue across the bridge toward Victoria West. Turn left onto Tyee Road and left again down Harbour Road. The parkland is front of the office buildings along the waterfront to the left. This is where the walking and cycling pathway called the Galloping Goose Trail and Trans Canada Trail and Harbour Road Bike Trail overlap. There is limited roadside parking along Harbour Road. A city bus travels along Bay Street and Esquimalt Road from downtown.